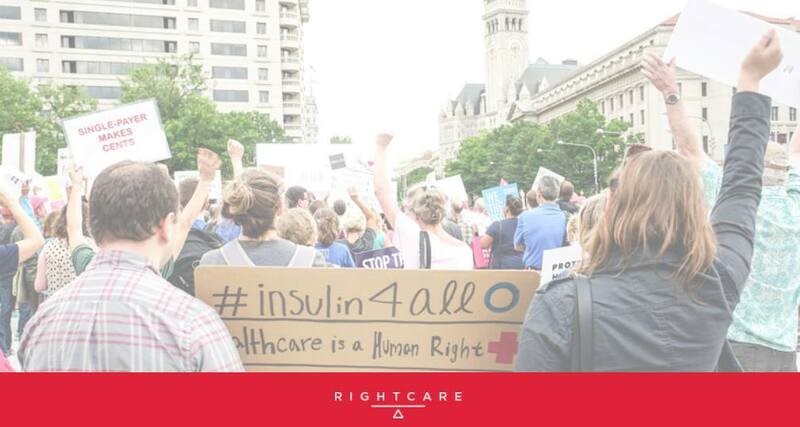 Join the Right Care Alliance and #Insulin4All advocates on Sunday, April 8th for a demonstration regarding high insulin prices in the U.S.
Sign up on Facebook here! The hashtag #Insulin4all was created by T1 International, an organization that has been fighting against high insulin prices for many years. Check out their website and follow them on Twitter! People are dying because they cannot afford their insulin. About seven million Americans are dependent on insulin to sustain their life. High insulin prices are causing more Americans to ration insulin to make it last longer – a dangerous practice that led to the deaths of two young men last year. We hope to create pressure to reduce insulin prices and improve transparency on drug prices in the U.S. NOTE: We will be meeting near the Portrait Gallery on F street between 7th and 8th street NW. Bring yourself and, if you wish, a sign and a chair! We will be leading chants and will have patients share their stories.